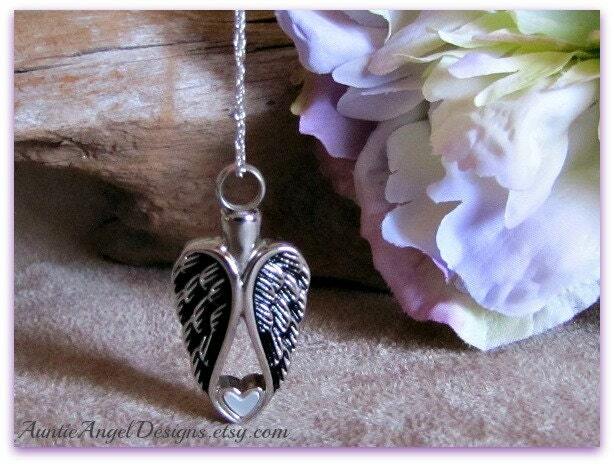 The "Heart of an Angel" cremation urn necklace is crafted of solid stainless steel. 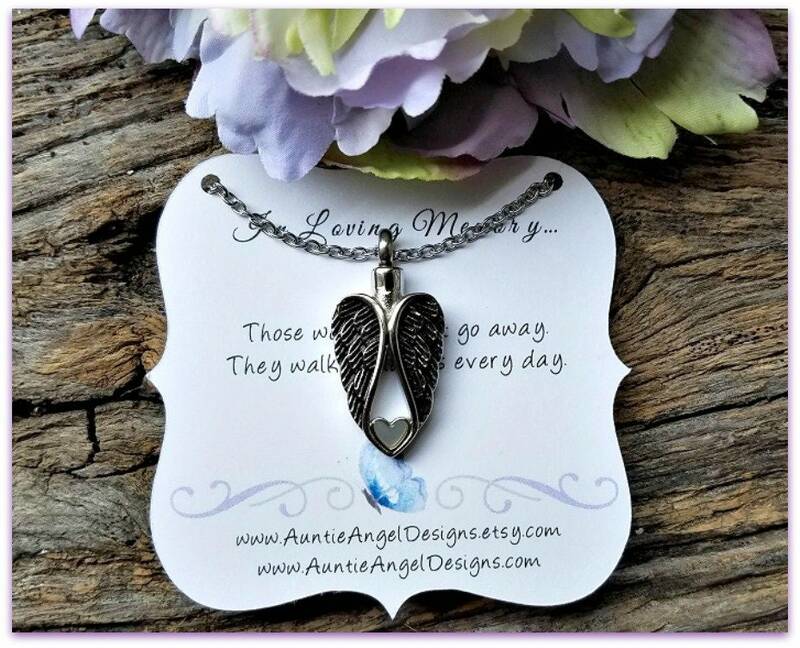 This lovely replica of angel wings with mother of pearl heart accent may be used to cherish a small amount of your loved one's cremated remains. Your precious keepsake arrives as shown on my specially designed backer card, which reads: "Those we love don't go away. They walk beside us every day." 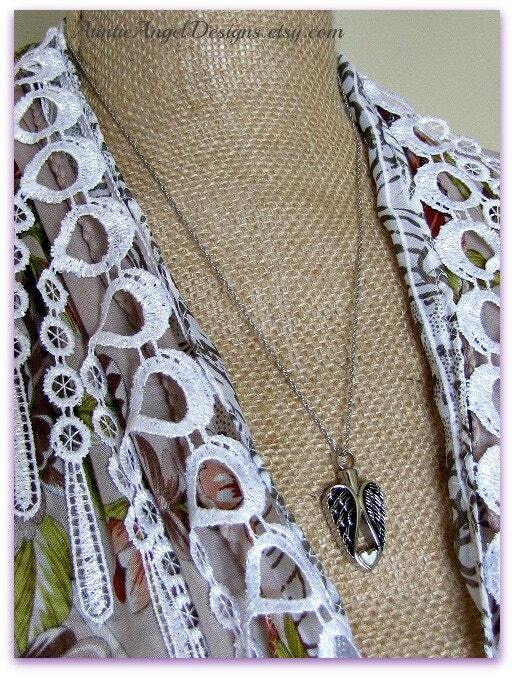 I include a funnel kit to transfer a small amount of your loved one's precious cremains through the top of the pendant. 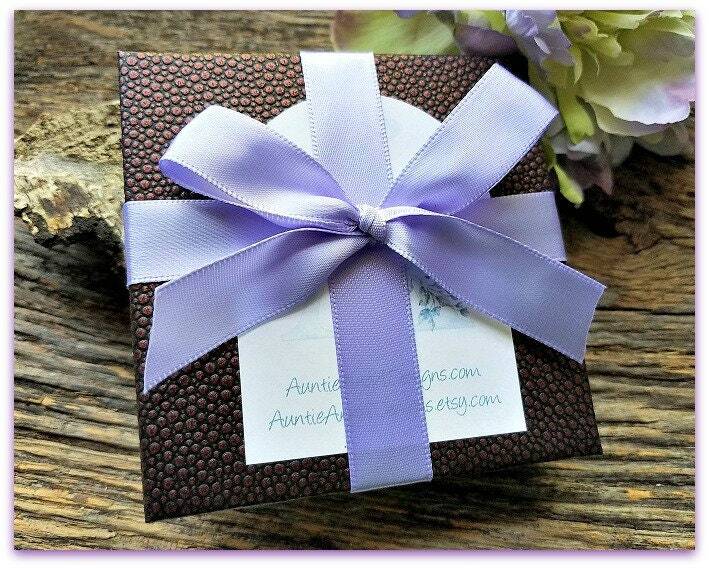 The "Heart of an Angel" cremation urn necklace comes beautifully gift-boxed with ribbon and is ready for gift giving. I enclose a blank gift enclosure card for you to write your heartfelt message if you are giving the gift directly. Please let me know! love it! fast shipping !! I lost my best doggie friend of 7 years, and I ordered my necklace the day after. Her ashes and my necklace arrived at the same time, and they are slowly helping my grieving process. Thank you so much for delivering a beautiful keepsake so I may keep her close, even after I can let her go.